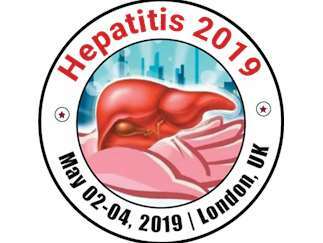 All the experts in the arena of Hepatitis and Liver Diseases are welcomed to attend the 7th International Conference on Hepatitis and Liver Diseases (Hepatitis 2019), going to be held at London , UK during May 02-03, 2019. The Theme of the conference is; Raising awareness and advancement towards Hepatitis and Liver Diseases. The Hepatitis conference brings together the Hepatologists, Gastroenterologists, Doctors, Researchers, Professors, Assistant Professors, Laboratory staff, Scientists & Hepatitis and Liver Diseases Lecturers from both Industry and academia to discuss the advancements and challenges in the broad sector of Hepatitis but not limited to Hepatocellular Carcinoma, (HCV/HIV) Co-Infection , Hepato-Biliary Diseases, Hepatitis Vaccination, Liver Diseases, Metabolic Liver Diseases, Clinical Trials, Non-Viral Hepatitis, Hepatotoxicity, Advancement In Hepatitis Testing, Gastroenterology and all other allied fields. This European Hepatitis Congress comprise of Plenary talks, Industry Presentations, Panel discussions, Q&A Rounds, Oral presentations, Workshops/Symposiums, Exhibitions, B2B, B2A, and Young Researcher Forums (YRF), Poster Presentations Hepatitis.